Dampen edges of the egg roll wrap with egg whites and spray evenly with coconut oil spray or olive oil spray. 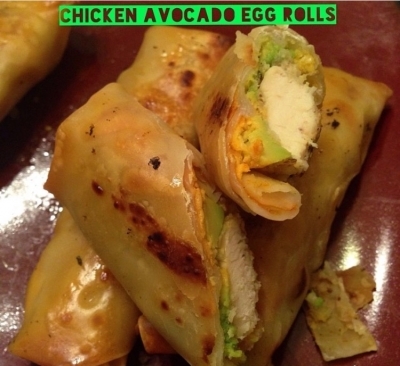 Place shredded or grilled chicken breast with avocado, cheese and buffalo sauce. Cook in convectional oven at 400 degrees for 15-20 minutes or until wrap is golden brown. OR toss in Air Fryer at 400 degrees for the same amount of time.